Photo Credit - Lycée Maritime d'Etel. 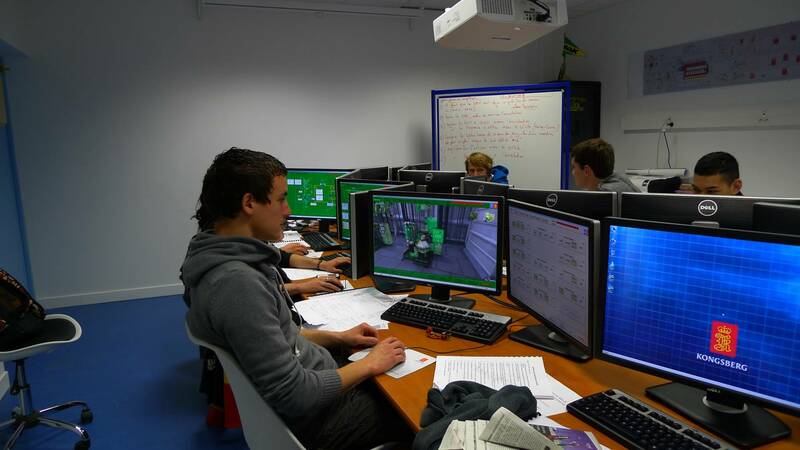 Lycée Maritime Jacques Cassard is the eighth of twelve French Regional Maritime Vocational Schools to use K-Sim Engine for highly realistic maritime engine room training courses. K-Sim Engine full mission simulators are already installed at LPM of Boulogne-sur-Mer, LPM Ciboure and LPMA Jaques-Faggianelli to Bastia (Corsica), while five other schools including Nantes have chosen K-Sim Engine desktop systems. In addition to highly detailed, physically accurate engine models, a key aspect of K-Sim Engine is its sophisticated instructor system. The recently installed K-Sim Engine at another French facility, LPMA d'Etel, allows students to virtually track faults and restore the engine to normal operations, as if they were in a real engine room on a 60 meter trawler, whilst giving a huge amount of control to the instructor.